"John Murdoch Sr in the 1926 Games Committee photo was my grandmothers brother." 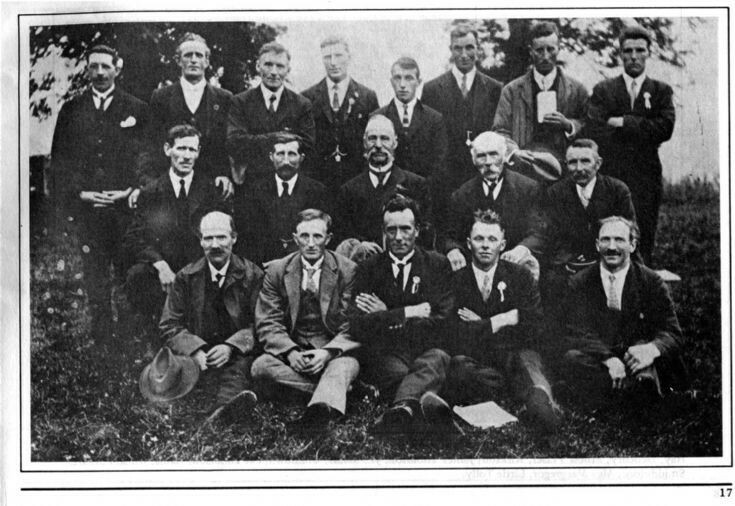 Alan Johnston, who has the original photo says that the date on it is "Glenbuchat,July 30th 1927"
The Glenbuchat Games Committee, officials and judges of 1926. Front, Alex Hay, Deochry; Alex Stuart, Blackhillock; Albert Strachan, Dockington; John Johnston, Beltimb; William Murdoch, Milton. I wonder if Alex Hay (L front)is the brother of my Great Grandmother, Mary Hay who married Robert McConnachie,he appears to have similar facial features. I wondered if it could be the same Alexander Hay married to Annie Chree. They were my Grans parents. She was Isabella (Belle) Tawse from Rothes and had sisters Teen, Kate Beatrice and brother Alex.